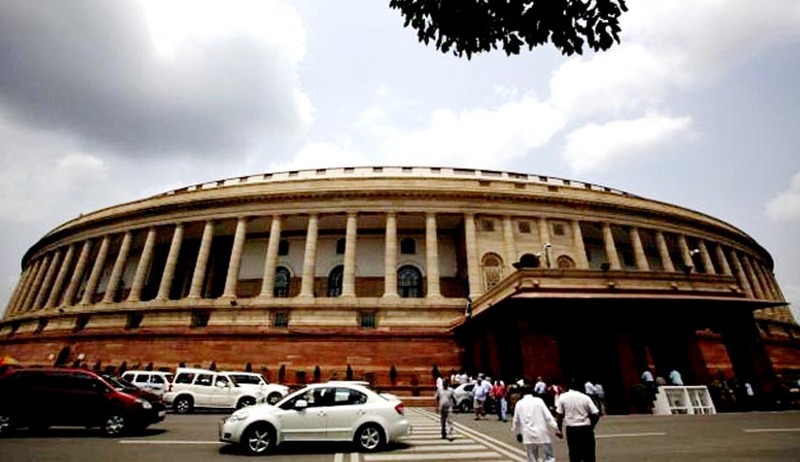 The Lower House of the Parliament passed The Regional Centre for Biotechnology Bill, 2016. The Bill seeks to establish a Regional Centre for Biotechnology, an institution of education, training and research, under the auspices of United Nations Educational, Scientific and Cultural Organization (UNESCO) in the National Capital Region and declare it to be an institution of national importance. The Regional Centre for Biotechnology will take up research and innovation and impart education and training in the new areas of Biotechnology at the interface of multiple disciplines of science creating a hub of technology expertise. Speaking on the floor of the House, Union Minister of Science & Technology and Earth Sciences, Dr. Harsh Vardhan said that Bio-technology is a new and growing field having immense potentialities for the societal benefit and economic transformation. It has been considered as a powerful enabling technology that can revolutionize agriculture, healthcare, industrial processing and environmental sustainability. Noting the immense potential of the Bio-technology sector in India, he said that this sector is one of the fastest growing knowledge-based sectors and the Indian biotech industry grew threefold in just five years. With numerous comparative advantages in terms of research and development (R&D) facilities, knowledge, skills, and cost effectiveness, the biotechnology industry in India has immense potential to emerge as a global key player. A rich and varied bio-diversity, a flourishing pharmaceutical industry, strong IT skills have also provided favourable environment. India is now a leading manufacturer of vaccines at an affordable cost, for example, making a recombinant DNA Hepatitis-B vaccine available at a price that is 40 times lower with such a high quality that it has captured major share of this market. Thanks to the huge human resource with excellent training in synthetic chemistry, India has also made major in-roads in generic drug production becoming the leader in the sector, he added. The Minister cited path-breaking achievements of Bio-technology like the affordable indigenous rotavirus vaccine that will help save lives of millions of affected poor children; inexpensive diagnostic technologies and affordable generic drugs to treat deadly diseases like Celiac, HIV, Dengue, Hepatitis C; drought and disease resistant crops that help in enhancing agricultural productivity; enrichment of dietary content, for example, ready-to-eat therapeutic food formulations, has helped in addressing the problem of acute malnutrition; Ethanol production from agricultural waste would help boost energy sector. Development in biotechnology sector at a fast rate has resulted in a bigger demand for highly specialized cadre of scientists capable of translating laboratory research to clinical practice. There is a requirement of domain-specific training programmes for enhancing skills for the scientists working in biotechnology industry as well. Our ability to innovate in the local context can be further extended to education and training in biotechnology. The Minister pointed out that Government is aware of the societal concerns about biotechnology. He informed the House that Indian Council of Medical Research (ICMR) and Department of Bio-technology (DBT) have developed rigorous guidelines in the area of stem cells which are being dynamically implemented and violation of which are being addressed by the appropriate authorities. He assured that we have a robust regulatory system for Genetically modified (GM) crops and acceptability of any new technology will be on the basis of pure scientific merit and social inclusiveness only. Recently, the Department of Biotechnology has prepared the National Biotechnology Development Strategy-2015-2020. The key elements of the strategy are: making India ready to meet the challenge of achieving biotech industry of US$100bn by 2020; launching four major missions – Healthcare, Food and Nutrition, Clean Energy and Education; creating a Technology Development and Translation network across the country with global partnership and strategic & focussed investment in building the human capital, he added.